Don Draper may be departing the airwaves soon, but the Cocktail Culture is still very much alive and well – and growing. And so is Thirstie. But Thirstie is not only an on-demand wine and spirits delivery service, although, having partnered with over 100 liquor retailers in major cities across the U.S., of course they can deliver wine, beer and spirits where you want it, when you want it. More than this, Thirstie is the go-to discovery tool for those seeking some inspiration and are currently or want to be part of the growing Cocktail Culture. Anyone can order in beer, but how about, for example, Space Beer? Ok, it’s called Ground Control and the brewers are obviously Bowie fans. But the yeast used in the process did spend four minutes 77.3 miles above the earth’s surface, so some of their offerings and suggestions do come from, um, off the beaten track. 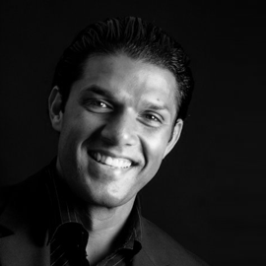 Founder and CEO Devaraj Southworth tells us more about this convenience/lifestyle platform. We recently raised $1.1 million in our seed round for a total of $1.2 million from a group of private investors. Our investors wish to remain confidential for the time being. 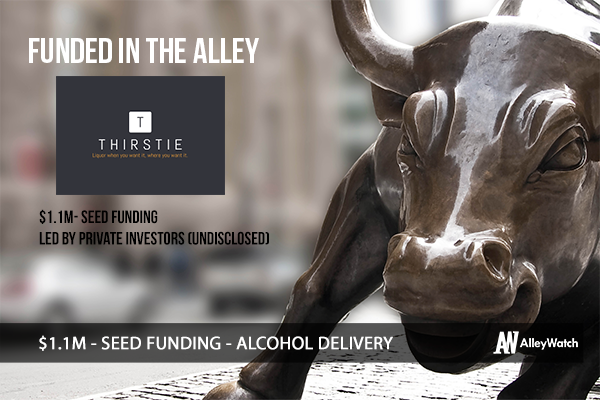 Thirstie is an on-demand wine and spirits delivery service that has partnered with more than 100 liquor retailers in major cities across the U.S. Delivering alcohol when you want it, where you want it. Thirstie makes the delivery of alcohol easy for consumers who are embracing the convenience of on-demand services. Thirstie is also the go-to discovery tool for those seeking some inspiration and cocktail culture. ​I realized that there is global trend that embraces on-demand, in general: by and large, this is a convenience play.​ When the product is at your door in an hour, it is addicting and people love that experience. ​Thirstie was created to empower the growth of cocktail culture in an on-demand world. The wine and spirits industry has taken notice of the cocktail culture’s return, as a result of new technological advancements, culinary innovations, the craft evolution,​and high-end spirits products that have helped inspire the novice bartender. Consumers are increasingly interested in being a part of the culture, and this is reflected by the fact that people are hosting more parties, going to wine and liquor tastings, and attending mixology courses. Thirstie gives consumers a tool that adds convenience to drinking and helps fuel those in- home​celebrations. ​We’re differentiating ourselves by appealing to cocktail drinkers. We see an enormous opportunity in providing truly engaging content and embracing the cocktail culture — being the voice of the mixologist. ​Many retailers have local delivery options, and there are other delivery companies that operate on the local/regional level. Our strategy was to focus on becoming a national player very early on. This was important not only for brand recognition, but at the core, it enables us to service a larger customer base. Although there are three companies that are operating on the national level, we are focused on more than just convenience and efficiency of the delivery. Our focus is content and engagement. By focusing on content, e.g. in-app cocktail recipes, we not only increase our engagement and repeat usage, but also increase purchase intent and offer our users much more than a just a “menu of products.” We have a seasoned and well-respected senior team with years of experience, not just in wine and spirits, but mobile tech, on-demand sales, and spirits compliance. The market for in-home, “off-premise” consumption of wine, beer and spirits is close to $100B. Our target audience isMillennials in the US. Folks who are trendsetting, tech savvy, people who are on the move, entertain, and are socially outgoing. For instance, the young professional who works long hours and wants to have a few friends over for drinks after a long day. Or,​ the savoir-faire host who just found out that two more guests will be arriving for tonight’s house party, but there’s no time to stop by the store to pick up more wine. Which is the most on-demand alcohol? Thirstie charges the retailer a monthly marketing fee based on a number of factors, including average order size, area of coverage, average time of the delivery, etc. We do not take a percentage of a transaction. We also have several other revenue models, including brand sponsorships, and white label programs, among others. Like any funding process – time consuming, but for us, relatively short. once we focused our energies on it. The balance of building your product and raising capital at the same time is always challenging, but that’s the nature of the beast. My advice is not to oversell. If you have a solid team, a clear differentiation strategy, and good growth numbers, investors will see the opportunity. Similar answer to the above question in that keeping the balance between raising capital and working on the product is extremely challenging. Even though our process was very straightforward, it’s crushingly time consuming. For us, I’d also say that effectively communicating the message that we are purely a marketing platform, versus an alcohol company, was challenging and took work. Lastly, pitching and getting a commitment is just half the battle. Getting your investor to execute the agreements and wire the funds can take weeks, if not longer — for no other reason than we all lead extremely busy lives. A combination of market size, steady growth, differentiation strategy, team, and how much our team accomplished with just $100K. We will be focusing our efforts on customer acquisition, as well as national expansion. We will also be aggressively building out our team, signing up more partners, and finally we will be redesigning our product. Two things. First, I’d say focus back on the product, and hit it hard. Second is to continue to work at building the right team. Your team is everything, and the right cultural fit will make or break you. Spend the time to find role players and your future leaders. Even though we already have extremely talented engineers, marketers, industry experts, etc, you can never stop recruiting a world-class team. We have proven that we can not only build a product that is engaging and visually appealing, but also one that is highly scalable. We have also proven out the supply side of our business; 110 retailers across 10 cities in less than 12 months. Although expansion will always be important, we have begun a new stage and are focused on servicing our existing customers, acquiring new ones, and in addition, partnering with large brands, influencers and others in order to scale. What’s your favorite Springtime mixed drink? I’m a martini guy, so it would have to be an “April Rain” – add a touch of lime to your classic Vodka Martini. Refreshing! Previous What Kind Of World Do You Want To Create With Your Money?